When Americans are asked what they associate with Austria, their response might include thoughts about waltz music, high mountains, or the famous intercultural cuisine. People in New York, however, might skip the music and mountains cliché, since they consider the famous Austrian chef Kurt Gutenbrunner a fellow New Yorker. 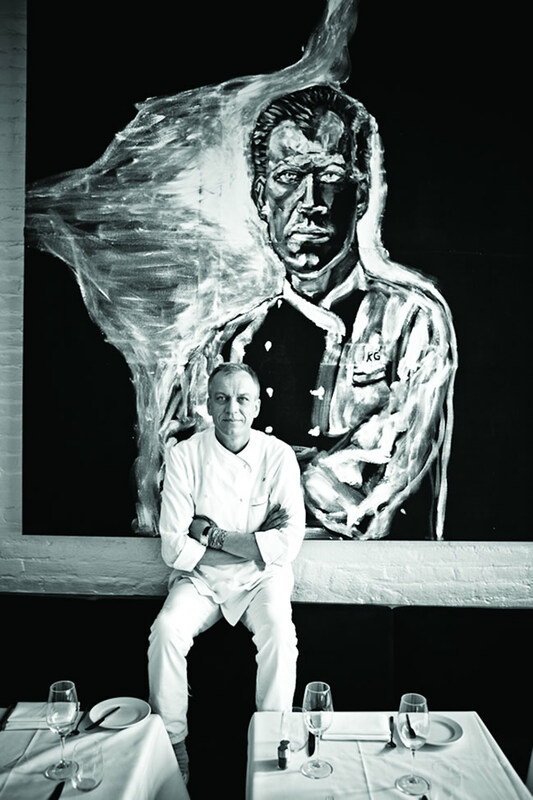 Kurt Gutenbrunner, who moved to New York in 2000, has built up the culinary company KG-NY Group, which now comprises five top-rated restaurants in the Big Apple. Kurt Gutenbrunner discovered his passion for food at the age of fourteen, when he was enrolled in a professional culinary school in Lower Austria’s capital St. Pölten. After graduation, he spent his years of practical study at the five star hotel Schloss Dürnstein in the Wachau region of Austria. The culinary skills he acquired there were instrumental in achieving his incredible success in later years. His first restaurant in New York was Wallsé, named after the Austrian village he originates from. Established in July 2000, it has earned a two-star rating from The New York Times, and a coveted Michelin star rating. 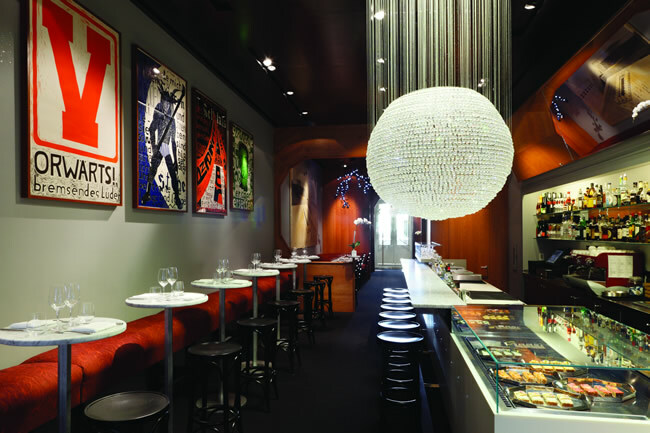 Shortly after Wallsé’s successful start, Ronald Lauder, co-founder of the Neue Galerie in New York City, asked Gutenbrunner to develop a traditional Viennese café within the gallery, which is devoted to early twentieth-century Austrian and German art. By now, Café Sabarsky has become an integral part of the Neue Galerie. During the following years, The Upholstery Store, Café Kristall and the restaurant Blaue Gans were established, all of which became huge successes. Kurt Gutenbrunner’s restaurants all have in common their dedication to the traditional Austrian cuisine and culture of the past centuries. Gutenbrunner is known for his creativity when it comes to interpreting classic Austrian dishes in a completely new and different way. However, his creations still contain the true Austrian essence. He honors the Austrian culinary heritage without following old and established patterns. Gutenbrunner’s concept and thinking become apparent when ordering the classic Wiener Schnitzel at Blaue Gans, complemented with a newly interpreted Austro-Hungarian dessert. Another characteristic of Gutenbrunner’s restaurants is the architecture and interior design, which are clearly influenced by notable Austrian architects and artists. Constantin Wickenburg, for example, furnished Wallsé with chairs from Thonet, the renowned Austrian chair manufacturer. Furthermore, Gutenbrunner’s comprehensive commitment to the arts, especially to artists Josef Hoffmann and Adolf Loos, is visible in all his creations as well as his restaurants. In addition to his interest in the arts, Gutenbrunner has a true passion for Austrian and German wines. As a result, The Upholstery Store was founded in 2009 and is, according to Gutenbrunner, a place for post-work gatherings and late-night rendezvous. Gutenbrunner has also made significant achievements outside the kitchen. After starting a career in consulting, he was hired by The Standard Hotel Group to incorporate his expertise in the establishment of popular beer gardens in New York and Los Angeles. Beer gardens or Biergärten are very popular in Bavaria and can be defined as casual dining places where beer and sausages comprise the main dish. More recently, Gutenbrunner published his first cookbook, Neue Cuisine, which encompasses an innovative combination of traditional Austrian recipes and featured art from the Neue Galerie in New York. Only last year, on September 23, Kurt Gutenbrunner was awarded the “Decoration of Merit in Gold to the Republic of Austria.” Kurt Gutenbrunner’s story demonstrates very well what people can accomplish when they follow their talents and passion. He is another great contributor to the promotion of Austrian culture and tradition abroad.